Lets be honest, hovercrafts are frikin awesome. Sure, they don’t brake very well and the turning radius clearly leaves a little to beg for, but they float on air and travel by land or sea. How could you not think hovercrafts are the coolest? This concept was designed by 21-year old industrial design graduate Yuhan Zhang from China and I have to admit it’s probably the most badass looking hovercraft I’ve ever seen. She wanted to design a vehicle that could handle all of China’s terrain: ice, snow, dirt, water, hills, etc. To make it even better, it’s got official Volkswagen badges on it and has been appropriately named the Volkswagen Aqua. Head past the break for a bunch of pretty photos and more info. The Volkswagen Aqua, like other hovercrafts, uses multiple motors. The primary engine, which just happens to be powered by a hydrogen fuel cell (AWESOME! ), inflates the skirt and lifts the hovercraft just slightly off the ground. At the rear, the forward thrust and directional fans are each powered by individual electric motors making it a completely gasoline-free vehicle. We just like how it looks. It reminds us of some futuristic spacecraft or even a landspeeder from Star Wars -- and you know how much we love Star Wars. There is one little detail we’re not too sure about. You see the round hatch at the rear? Well, that’s the only door this thing has and it seems like it would be pretty impossible to look good crawling out of it. It’s not everyday you see an amphibious ice cream truck, but that’s exactly what we’re looking at. This water-logged treat machine was spotted cruising through the rivers of London on June 1st in celebration of National Ice Cream Week. Delivering ice-cold summer treats to beach goers and everyone else enjoying the outdoors this summer isn’t this truck’s only mission. According to DailyMail, the truck delivers ice cream by land and sea to raise awareness of the UK’s troubled ice cream truck business. Due to increasing restrictions ice cream trucks are banned from some public places and have seen quite a decline because of it. The ice cream truck was commissioned by Cadbury and while it may only be floating around London for the time being, there are plans for a national tour. In fact, The HMS Flake 99 may even make its way through the rivers of Venice. Check out the video below if you want to see this one-of-a-kind ice cream truck in action. — Apple's iCloud has emerged from the shadows, providing wireless backup and syncing for your apps, songs, documents, books, photos, videos, calendars and contacts. Best of all, it's free. Here's a few of iCloud's more notable features. iCloud will store your photos, videos, music, contacts and other files, which are accessible from any compatible device, whether that be laptop, desktop, iPad, iPhone, or iPod touch. iCloud is free. That means every user gets 5GB of space to do as they feel with. Whether you want to upload video, music, photos or books to access on the go, it's your choice. iTunes will take the tracks you purchase in the iTunes Music store and automatically make a copy from their servers accessible to you for syncing on the go (you can enable up to 10 devices per account). However, if you want to match songs that you havent purchased through iTunes, it will cost $25 a year to have iTunes match as many tracks as you want. Plus, what iTunes in the cloud matches doesn't count against your 5GB limit, which will come in handy for those with large music libraries.MORE ON THAT HERE. Many of MobileMe's features have been rewritten as apps that function in the cloud and deeply integrate with the apps on iOS devices and computers (Mac or PC). If you update a contact on your iPhone, that contact is added to your lists on your other Apple devices. Add a new calendar event in iCal, and it will show up on your iPad or any other device. Plus, all iCloud users get an email address that will have push updates enabled. When you snap a photo, you can send it up to iCloud, where it will beam it down to your computer and other iOS devices, but will also live on Apple's servers for 30 days. Photo apps on Apple devices will have a feature called Photostream, which will bring up a thumbnail array of all the photos. Remembering what apps you've purchased in the appstore can be tricky. Especially when you need to redownload or install them on a second device. iCloud now keeps track of all your purchased apps in a single list, and allows you to directly download those apps from the list. Now that iWork is on all iOS devices, it will automatically auto-save a copy of your progress made with the iWork suite of productivity apps, which is accessible by other devices.. That includes Pages (word processor), Numbers (spreadsheets), and Keynote (presentations). Apps on iOS and OS X will have API access to store documents. Programs like Evernote could theoretically store and sync documents using iCloud. App history, device settings, new photos, and purchased music, apps and books will all be sent up to iCloud automatically. El Jobso claims that "it just works." iCloud isn't available quite yet, but should be ready for public consumption come fall. We'll see just how easy it is then. — The new iOS 5 is here. It is a "major release", according to Apple. It brings revamped notifications and more than 200 new features for your iPhone, iPad and iPod Touch. These are the top ten, and then some more. Some of these features you already had in your iPhone or iPad. They just came in third-party apps. If you used apps like the must-have WhatsApp, which allows you to message in an extremely easy way with all kinds of phones for free, you already were enjoying something like iMessage (even while iMessage adds important services, like device-wide conversation synchronization). If you had the awesome Instapaper, you already had some of the features of the new Safari. Or if you had something like Remember the Milk, you already had a great reminders service. However, there are features that weren't available before, either because they are completely new or because they are system-wide. And there are real jewels too. Things that may sound silly, like using the volume + button as a shutter in the Camera app. Or more important stuff, like well thought Notifications and the ability to run your iPhone, iPod Touch or iPad without having a PC. Your iDevices are now completely autonomous. All these features put iOS on par again with some of the features that you could already find in Android, Palm or Windows Phone 7. Some of their implementations, surpass those platforms. But even while none of these new features are extraordinary per se, all of them together are quite impressive. We can't wait for the fall to enjoy the new iOS 5. It looks like it will be a great release, if they keep it bug free and agile in older devices. The first big feature is notifications. At last, Apple will get rid of the annoying popups that break your flow. And with "annoying popups" I really meant "stupid dumb boxes that makes me want to smash my f*cking iPhone against the wall when I'm playing a game or chatting with strangers in the night". They have replaced those with a new app called Notification Center. It's very similar to Mobile Notifier, the iOS notification app—which makes sense, since Apple hired its developer a while back. It not only includes app notification, but mini-widgets that show live information from apps like Weather and apps. The notifications extend to the lock screen too, so you can see more stuff right away without unlocking your phone. Sliding your finger on it will automatically lead you to the app that generated that notification. It looks very straightforward and useful. Apple has built a virtual newsstand right onto iOS 5, very similar to the iBooks app but exclusively for magazines and periodicals. It looks like a cross between iBooks and a folder view, actually. iOS 5 will have Twitter integration everywhere. Apps like camera will be able to directly post the image to Twitter. The YouTube App, Safari or even Maps will support direct sharing in Twitter. It also adds a new Twitter address field to your Contacts application. Safari has been revamped with new features. Reader will allow you to reformat a site on the fly, taking out ads and reformatting text so it looks better on your iPad or iPhone screen. This feature flows into Reading List, which is a way to save those pages for later offline viewing, keeping them synchronized between all your iOS devices and Lion. Presumably via iCloud. Apple's web browser also adds tabs in this version. Your open pages will line up right below your address bar. According to Apple, switching between pages is "lightning fast," so perhaps they have made some magic with the memory management to reduce the reload of pages in older devices. The new Reminders app makes it easy to make to-do lists. The interface is very simple and it's synchronized between iOS 5 devices and your Mac OS X desktop or notebook. The really cool thing about Reminders is that it's location aware. Imagine you add that you need to buy milk, but then you forget about it. When you pass by the grocery store, the app will tell you that you need to buy milk. The new Camera up gets two of the most-requested features in the history of iOS. The first is a shortcut in the lock screen to access the camera right away, so you don't have to unlock and then click on the Camera icon, which often makes you lose the moment. The other one, which is something we have whined about endlessly, is using one of the volume button as the shutter button. Just press + and that's it: CLICK! This is a very welcome addition. The new app also includes basic photo editing. It includes quick enhance—which basically sharpens your image, making shadows and highlights more detailed, and correct color automagically. It also include red eye reduction and cropping, both welcome additions to those who don't have the Camera Plus already. • Rich Text Formatting, which will allow you to annoy the hell out of everyone bolding every sentence in your mails. • Indentation control, which allows you to control the level of indentation of your quotes from other messages. • Draggable email addresses, which allows to drag and drop email addresses into to, cc and bcc fields. • Message flagging to call your attention over a particular mail later. • Swipe to Inbox, which makes it very easy to access the list of message in portrait mode on the iPad, instead of clicking on a button for a weird pop-up dialog. At long last, the most important feature of them all: You will not need iTunes and PC anymore to use your iPhone, iPod touch or iPad. Apple has caught up with Android and Windows Phone 7. The new iOS 5 will allow you to set up your new device easily: Turn your new gadget on and a Welcome screen will appear. All software updates will happen over the air. All the applications will be now completely autonomous. You will not have to go to iCal or some other desktop app to create a calendar, for example. There is no need for a desktop or laptop anymore, for anything. • Access friends of friends, so you can compare and play with a wider range of people. • Photos in your profile, so you can flirt with other nerds pretending to be women online. • Game discovery, to play with whoever wants to play with you at any given time. • Game downloads within Game Center. • Support for turn-based games like Words for Friends and Scrabble. Another new useful feature, which will hurt Blackberry and the telecommunications companies wanting to sell you stupid SMS and MMS contracts: Apple has implemented a new messaging system called iMessage. It works between all iOS 5 devices, allowing you to leave conversations on your iPhone and continue them in your iPad (again, I will not be surprised to see this integrated into Lion at a later date). It comes with delivery notification as well. However, unlike WhatsApp, it doesn't work with other non-iOS devices. Maybe Apple thinks your Android and Blackberry friends are not worth talking to for free. • Dictionary everywhere: This is something that many people have asked for because they like it in the iBooks app. Now, every application will have Dictionary built-in. • Advanced gestures: It will allow you to pass from app to app on the iPad by using a simple swipe gesture, without having to use the home button. This was a feature has been in testing for a long time and, trust me, once you try it you will not be able to live without it. If you are a developer, it's happening right now. The developer preview is available. The rest of the world will have to wait till this fall. This has to be one of the most unusual and generous recruiting ploys we've ever seen. Hipster, a marketing/social networking start-up in San Francisco, is not only offering $10,000 to new employees or those who refer them, but all the accoutrement you'll need to fit right in. 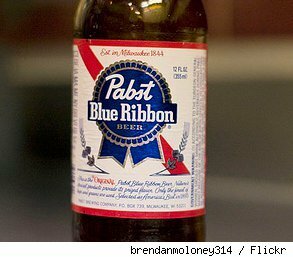 This includes a striped bow-tie, worn brown boots and, we kid you not, a year's supply of Pabst Blue Ribbon (PBR), which is apparently the drink of choice for true hipsters these days. Mustaches and bicycles seem to be "in" now, as well, since the incentive package also includes 'stache grooming services and a florescent, fixed gear bike. But wait -- there's more! They'll also throw in a pair of skinny jeans, and some big, black, horn-rimmed Buddy Holly glasses. Of course, they also have more traditional employee incentives. According to their website, "We're offering a competitive salary with fantastic stock options, as well as great medical and dental benefits. We're in a prime location in the heart of SOMA, right across from the Caltrain station." So what is Hipster and what exactly does it do? Unless you're into this type of thing, it's a little difficult to figure out. "Hipster is building a fun way to uncover the vast amount of information about real-world locations that isn't yet available online," says the website. "Based in SOMA, San Francisco, and founded in 2010 by Doug Ludlow, Ethan Czahor and Steffen Hoffman, Hipster is tackling a really large problem in a really large market in a really unique way." Jenna Wortham, a blogger for The New York Times describes their business this way: Hipster "lets people post queries and answers to others in their geographic area using the Web and a mobile phone." If that sounds a little squishy, know they're backed by some major powerhouses, including Google Ventures, Lightbank, Kapor Capitol, Ludlow Ventures and many more. That's how they're funding all the new employee perks. What kinds of positions are they trying to fill? "We want entrepreneurs, not employees" their website states. "We're looking for individuals who are self-motivated and eager to learn; the type that would rather start their own business than work for someone else. This is an opportunity to be autonomous, important, and have substantial decision-making power." Find more jobs in mobile application development. Find more Ruby on Rails jobs. And you don't even have to submit a resume to apply to Hipster! All you have to do is fill out a very short online application, provide a link to your LinkedIn profile, and write a few sentences about why you would be the right candidate. It's as simple as that. Hey, if you know any good Ruby or mobile-app engineers, you could go ahead and submit their names yourself. If they're hired on your recommendation, the cash and the hipster kit are yours. What have you got to lose, besides that seriously unhip reputation? A New Mexico woman has been sentenced to 25 years in prison for the death of her young daughter, who withered away from malnutrition and dehydration while the mother spent hours chatting and playing World of Warcraft online. Rebecca Colleen Christie was sentenced in federal court for her November 2009 conviction on second-degree murder and child abandonment charges, the Las Cruces Sun-News reported. Prosecutors said 3½-year-old Brandi Wulf gained just a pound and a half in the last year of her life and weighed 23 pounds when Christie called 911 on Jan. 26, 2006, to report her daughter was limp and unconscious. Christie's ex-husband, U.S. Air Force Sgt. Derek Wulf, pleaded guilty to child neglect and will be sentenced June 15. He was stationed at Holloman Air Force Base but was away on a nine-day assignment when the girl died. The newspaper reports he had expressed reservations about his wife's ability to take care of their child; her older daughter had already been placed with Christie's parents. For 15 hours the day the girl died — from noon to 3 a.m. — the computer showed "continuous activity" as her mother chatted with friends from the online fantasy role-playing game, according to court documents. Wulf told an FBI agent he would regularly come home from work and find his daughter with an empty water glass as his wife was busy "playing on the computer," according to court documents. The house had an overflowing litter box and pervasive smell of cat urine. And there appeared to be so little food that the child ate cat food, according to the U.S. attorney's office. There also was no PediaSure, police said, which a year prior had been prescribed to the child for digestive problems and frequent diarrhea. At a sentencing hearing in mid-May before U.S. District Judge Robert Brack, Christie sobbed that she was sorry, the Sun-News reports. "I'll never get to see her grown up. ... That weighs on my heart. That was my little girl," Christie said slowly, with difficulty, her shoulders hunched and the chains on her wrists shaking. "It was my responsibility to take care of her, and I failed her, and I'm sorry." FOR OVER ONE HUNDRED YEARS AMERICANS KNEW PIT BULLS FOR WHAT THEY DID BEST. BABYSITTING. Astoundingly, for most of our history America’s nickname for Pit Bulls was “The Nanny Dog”. For generations if you had children and wanted to keep them safe you wanted a pit bull, the dog that was the most reliable of any breed with children or adults. The Nanny Dog is now vilified by a media that always wants a demon dog breed to frighten people and LHASA-APSO BITES MAN just doesn’t sell papers. Before pit bulls it was Rottweilers, before Rottweilers it was Dobermans, and before them German Shepherds. Each breed in it’s order were deemed too vicious and unpredictable to be around people. Each time people wanted laws to ban them. It is breathtakingly ironic that the spotlight has turned on the breed once the symbol of our country and our national babysitter. In temperance tests (the equivalent of how many times your kid can poke your dog in the eye before it bites him) of all breeds the most tolerant was the Golden Retriever. The second most tolerant was the pit bull. Pit Bull’s jaws do not lock, they do not have the most powerful bite among dogs (Rottweilers have that honor) they are not naturally human aggressive (in fact pit bull puppies prefer human company to their mother’s two weeks before all other dogs), and they feel as much pain as any other breed (accidentally step on one’s toe and you’ll see). The most tolerant, patient, gentle breed of dogs is now embarrassingly portrayed as the most dangerous. It would be funny if the new reputation did not mean 6,000 are put to death every day, by far the highest number of any other breed euthanized. That’s a lot of babysitters.